I am in awe of the souls presence in the body, I explore its container deeply. I study how energy moves through the body and its effects when landing in the freedom current of now and the imagination. I believe in the healing power of the breath and listening to the soul’s communication. As a child I had rich and diverse interest in expressing my spirit through my body and through music. I began dancing and singing at an early age. I was a saxophonist & back-up singer in my father’s R & B band, and began taking dance classes in college, performing and creating my own choreography. This undying romance with creative communication was and is the effervescence of my development. I was introduced to yoga while attending the Summer Dance Program at Bates College in 1997. I was immensely inspired by the silence, stillness, calmness, the orchestra of breathing, the union of the mind body and spirit. My first official teacher training was with Nancy Ruby in Bozeman, Montana 2001. We focused heavily on the study of the Yoga Sutras, the work of the legendary Sri. T. Krishnamacharya, anatomy & physiology, basic pranayama, and asana sequencing. 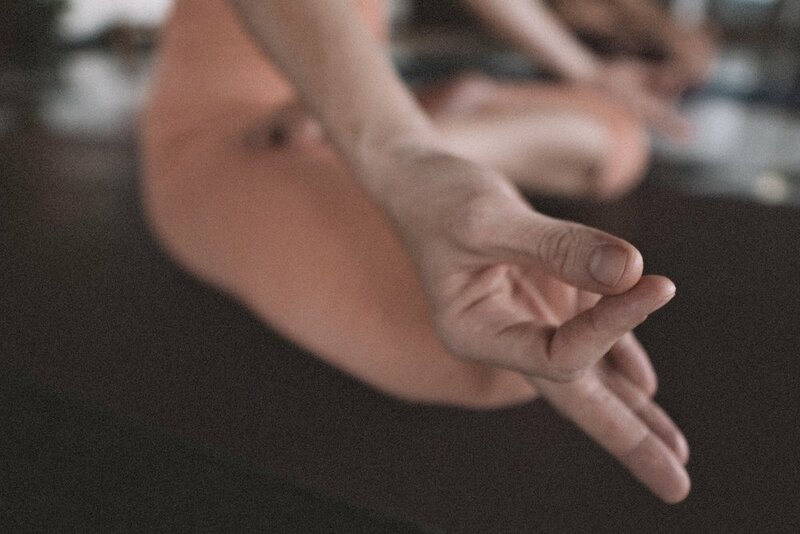 We skimmed the surface of the Iyengar, Vini, & Ashtanga approaches to the practice of Yoga. I then began offering Vinyasa and Partner Yoga classes at my small studio in Bozeman. I was called to Ashtanga yoga and heard of a traditional & serious practitioner, Randa Chehab, long time student of Lino Miele, as well as Tim Miller, Nicki Doane, Eddie Modestini, and Nancy Gilgoff. She introduced me to the Primary Series. I fell deeply in love with this breathing movement system, I found home. It was instant union. This practice resonated with my body, heart, & mind. To increase my knowledge of ashtanga I committed to a 6 day a week practice, made trips to Seattle and San Francisco to meet and participate in classes with Guruji, Sri. K Pattabhi Jois, and Sharath, and took workshops with Lino Miele, Doug Swenson, Sharon Gannon, David Life, and David Garrigues. I was invited to teach a workshops on the Big Island of Hawai‘i by Heather Heintz, friend, teacher, and student of yoga. This lead me to the neighboring island of Maui where I visited a couple schools of yoga. I promptly decided to move to Maui in March 2003 to deepen my study of the yoga, in particular, the Ashtanga and Iyengar Yoga systems under the guidance of Nancy Gilgoff, Nicki Doane, and Eddie Mondestini. I practiced Primary & Second Series for some months with Nancy in her adjustment clinic, became her assistant, and learned how to share the yoga in the Mysore style. I met and fell in love with Armando Rivas while in Maui, who is my partner in life now for 14 years, father of our children, massage therapist of 16 years, and yoga practitioner of 17 years. Armando and I traveled to India for 5 months to study deepen our study of the Yoga. Our desire to study the therapeutic aspects of the yoga took us from Mysore to Dehradun, to the foothills of the Himalayas, to study Iyengar yoga with Senior teacher Rajiv Chanchani. My fascination with the body & it's healing ability led me to study Marma Point Massage in Dharmsala and Thai Massage in Pai, Thailand. In 2004 we moved to the Big Island. I taught Ashtanga Yoga at the University and we opened the East Side Yoga Shala in Pahoa, where we had a 6 day week Mysore Morning Program for 5 years. We hosted Noah Williams, Kimberly Flynn, Nancy Gilgoff, Andrew Eppler, and continued our studies of Iyengar, Therapeutics, and Chanting with Senior Iyengar teacher and founder of PURNA Yoga, Aadil Palkhivala. In February 2009 my father died suddenly so we immediately flew back to my home Missoula, Montana to to be by his side. Simultaneous with my father’s passing, we were pregnant with our first son, Kalei, who was born in the same hospital where my twin brother and I were born in Missoula. We took over my father's business, his live music venue, the Top Hat, which seemed to be dying along side of him. We rebuilt the 9000 square foot venue with a yoga space, massage room, recording studio, and booking and accounting offices upstairs. We opened an art gallery downstairs called Rock Bottom which was right next to my fathers woodworking shop and offered yoga and massage to the employees. We ran the Top Hat as a 600 person venue with daily live music until it sold in October 2012. In the beginning of 2013 I applied & was accepted to take part in Richard Freeman's month long teacher intensives in Boulder, so we moved to Boulder to deepen our study with Richard and his wife Mary for 9 months. We had our 2nd boy, Valentino, at our home in Boulder, on October 30, 2013. We moved back to Hawai‘i in May of 2014. We rebuilt the new Shala space in Hilo and began the Mysore morning program on January 5, 2015, where we continue to provide an Ashtanga Yoga Program, Dance and Voice courses, and Hawaiian Cultural Education. Since April of 2015, I began my ongoing study of Hula under Kumu Hula Ryan McCormack and contemporary dance with Jen Eng, as well as voice lessons with Rhiannon, a master teacher for more than 40 years, who explores the skill and spirit of improvisation, all who I humbly bow to with deep gratitude. I give thanks and praises to my teachers everyday; to Great Spirit; for this love that rests in my heart, and this energy that runs through me; inviting me to share the practice of yoga. Colee is a wonderful yoga teacher; respectful, knowledgeable and always eager to help in any way she can. Since working with Colee, I have improved my asana practice in addition to expanding my pranayama and chanting practices. If you are ready to commit to a regular yoga practice, this is the place to start.